Ecobots premature baby cloth nappy back is perfect for those tiny early arrivals. Our double gusset prem size covers (wraps) fit from 2lb to 6lbs. Our teeny nappies, or premature size prefold cold nappies are small enough to fit inside the covers without being too bulky, yet big enough to be absorb all that they need to. 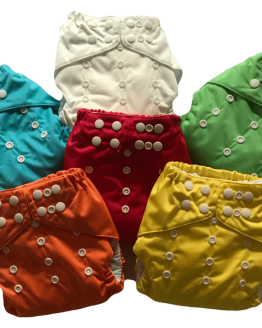 Cotton nappies are a great, natural alternative to disposable nappies, and prefolds are quick to dry and easy to use. The Ecobots system is a great way to start using cloth nappies, and a great system to use on tiny babies. 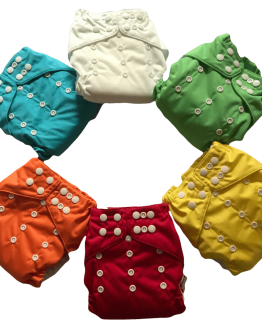 Simple to use without any complicated folding or pinning, they are a great, natural nappy to consider. 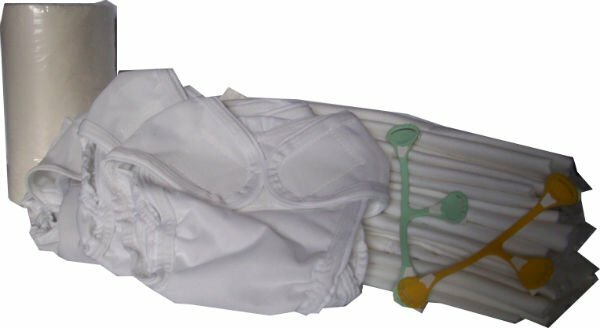 Our velcro closure nappy covers are fantastic for using on tiny newborns, with double gussets, to help contain everything. With a notch at the waist to prevent rubbing on the tender umbilical stump, they are the perfect size for your early baby. 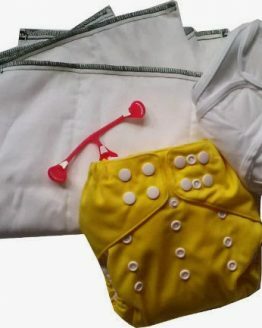 Each premature baby cloth nappy pack comes with five nappy covers, 18 premature size cotton prefold nappies nappies and two snappi nappy fasteners. We will also include information on using and washing the nappies. As they are only in this smallest size for a short time, you can choose to hire rather than buy for $40, plus a $20 returnable deposit. Or if you prefer, buy the premature baby cloth nappy pack for $100.